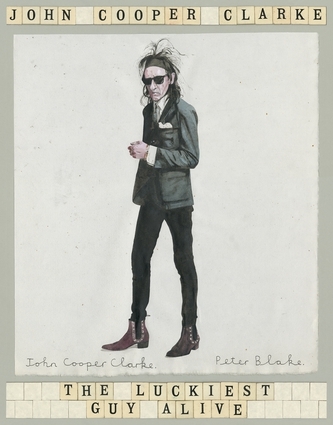 The Luckiest Guy Alive is the first new book of poetry from Dr. John Cooper Clarke for several decades3and a brilliant, scabrous, hilarious collection from one of our most beloved and influential writers and performers. From the "Attack of the Fifty Foot Woman" to a hymn to the seductive properties of the pie—by way of hand-grenade haikus, machine-gun ballads and a meditation on the loss of Bono's leather pants—The Luckiest Guy Alive collects stunning set pieces, tried-and-tested audience favorites and brand new poems to show Cooper Clarke still effortlessly at the top of his game. Cooper Clarke's status as the "Emperor of Punk Poetry" is certainly confirmed here, but so is his reputation as a brilliant versifier, a poet of vicious wit and a razor-sharp social satirist. Effortlessly immediate and contemporary, full of hard-won wisdom and expert blindsidings, it's easy to see why the good Doctor has continued to inspire several new generations of performers from Alex Turner to Plan B: The Luckiest Guy Alive shows one of the most compelling poets of the age on truly exceptional form. John Cooper Clarke shot to prominence in the 1970s as the original "people's poet." Since then his career has spanned cultures, audiences, art forms and continents. Today, JCC is as relevant and vibrant as ever, and his influence just as visible on today's pop culture. Aside from his trademark "look" continuing to resonate with fashionistas young and old, and his poetry included on the national curriculum syllabus, his effect on modern music is huge. The Doctor's 2018 show, touring across the UK, USA, Canada and Australasia, is a mix of classic verse, extraordinary new material, hilarious ponderings on modern life, good honest gags, riffs and chat—a chance to witness a living legend at the top of his game.